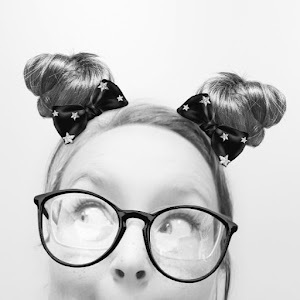 My January Julep Maven Box - Nekaro & Co. The January 2014 Julep box is the third box I've received from Julep. My first box was the starter box. My style profile is Boho Glam, but this month I really liked the colors of the Classic with a Twist profile. I actually considered skipping this month since we are still recuperating from the Christmas holiday spending spree, but once I saw Mona, I knew I would go ahead with it. ... and I honestly have no idea what those other things are! I am the world's worst at doing pretty manicures! I need to pay a visit to a beauty supply store and invest in do dads to clean the polish mistakes. I am sure there is an official name for them, but do dad works for me. The grey is a very dark grey, but I like it's neutralness. (Yes, I made up a word there.) I've never used a silk finish polish before. It is also a neutral color though it says in the description that it's a peony pink. It's so light! Best part of this box? Those Ta Da! Quick Dry Drops. Amazing. The bottle is 1 fl. oz. and that doesn't seem like much, but I only used one drop on each finger. They should last quite some time. They are well worth it. Cut the drying time at least in half. This is great for a busy mom of a toddler. 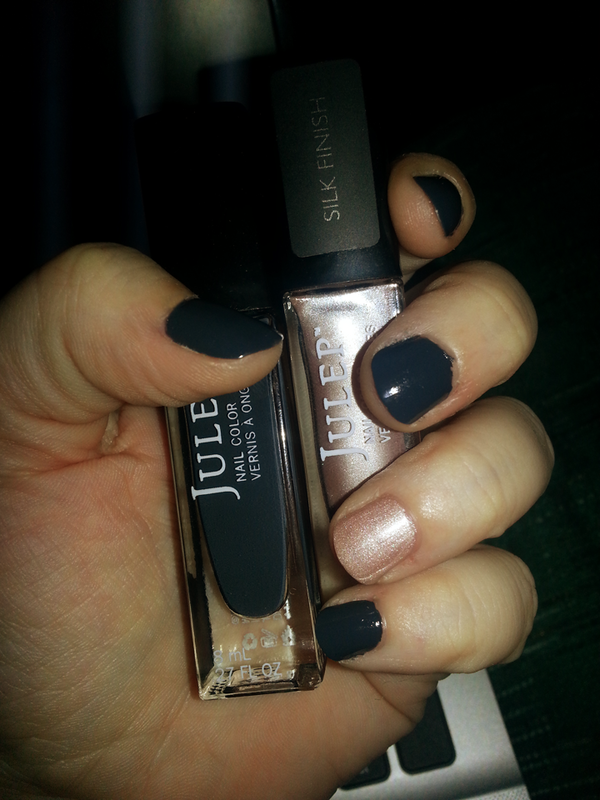 So far I've been pretty impressed with the Julep polish. I look forward to next month's box. Oh I am impressed by the quick drying drops - I NEED those!! I was seriously impressed myself. One drop was like.. whoosh! Dry! Ha!